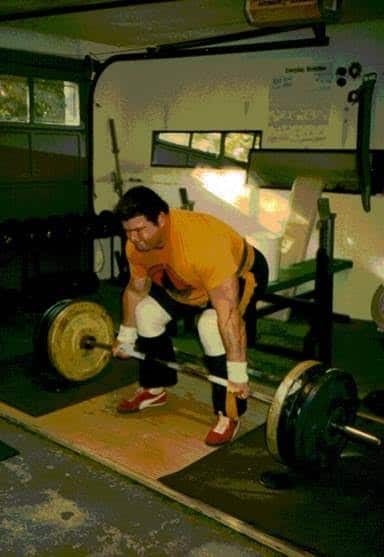 The late Ray Rigby, Australian Olympian and top-three-in-the-world powerlifter deadlifts in one of the author’s garage gyms many decades ago. In its purest form, Ray admitted we had as much fun with the garage challenge of “You take this percentage of your bodyweight, I’ll do the same of mine, we deadlift for reps, the winner gets a pint of Graeter’s Ice Cream” as he did at the Worlds! The purpose of powerlifting, of going into the training facility and actually doing squats, bench presses, deadlifts, and any other exercises that one believes will enhance these three specific lifts, is to become stronger. Certainly one wants to become stronger in those three movements if they view themselves as a “powerlifter” but they will also want to train in order to “be strong.” One can define “strong” any way they wish but everyone who trains believes they can become stronger, move more resistance, and get through any day or daily task with the ability to demonstrate their strength in some manner, even if they are the only ones receiving the benefit of that demonstration. We do not train so that someone else can become stronger, we do it in a rather selfish manner so that we can become stronger, for our own needs and desires, whatever those might be. Thus far, this is rather simple stuff to understand. At some point in time, one might want to test themselves, enter a contest if only to see if what they have been doing allowed them to succeed. 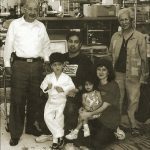 A test of some sort validates the training methodology, the time and effort that went into it, and brings a great deal of satisfaction if the test has a positive result. That “test” is most frequently a contest because only in a contest that is judged in accordance with accepted rules, not self applied, self interpreted, or self adjudicated rules, can one know that they are improving and/or what exactly, they may have accomplished. For those with a competitive streak, there may be a need for extraneous competition, a “push” that would come from trying to best another lifter in a fairly judged contest where everyone did everything in the same manner. Some may wish to compete and while there are others in the meet with them, they are truly competing only with themselves, attempting to see if they can exceed an arbitrarily imposed standard for a variety of personal reasons. Having to perform with and/or in the presence of others, especially strangers may be a potential impetus or potential impediment and in either case, present one more personal challenge that needs to be faced and overcome. For those who are team oriented or enjoy training with, traveling with, hanging out with, and actually competing with others, powerlifting may be the bonding agent that provides fulfillment for all of these outlets. 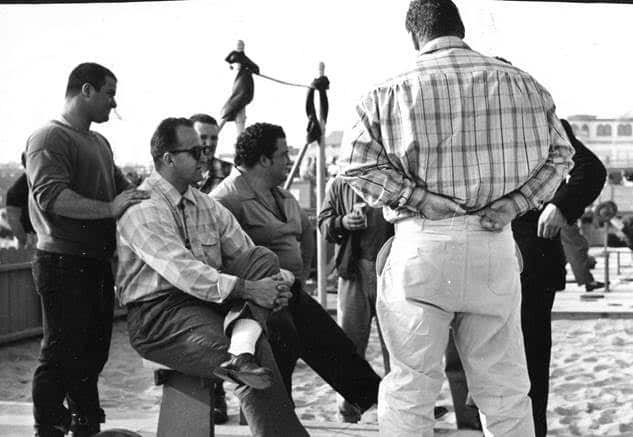 However, as a personal experience, one that can remain personal even while competing in a public space against and in the presence of many strangers, powerlifting remains an activity “for the individual.” For those with a penchant to share the experience, powerlifting allows one to do so, allowing too for the fulfillment of other needs. The activity as a certain number of times per week “I’m going to the gym now” ritual, or being an integral part of a national championship team can yield great satisfaction and is judged to be successful only by the parameters set by the individual. Simply put, there aren’t a lot of other activities that can satisfy so many needs, be put to use for so many personal reasons, or provide the benefits of walking the streets or entering the gym with a level of strength that far exceeds that of the average man or woman, even a stronger than average man or woman. Obviously, in my opinion, powerlifting is a big deal! For fair and objective criteria, for something that provides a “this is where I was, this is where I am now, this is where I’m going with my strength as expressed in my ability to squat, bench press, and deadlift,” rules are needed. Thus, an agreement on rules has to be established, and yes, some sort of organization is necessary to both note the establishment of the rules and their enforcement. So yes, there must be a powerlifting organization. Do we need five, eight, or fifteen organizations, local, national, or international? Do we need multiple organizations that pull the sport in different directions, often at odds with the philosophy and regulations of others? This has been the question almost since the sport was officially organized, viewed as an avenue for personal benefit, and had drug use and drug testing added to the mix. Many if not most of the organizations that were populating the sport in the 1970s and ‘80s are long gone for various reasons. Of course more have taken their place but when dealing with individual needs and desires and ultimately, this is what powerlifting does, there are an awful lot of needs and desires to be fulfilled. This is why there have been and will continue to be such a broad range of powerlifting organizations or “organized groups.” If the group fulfills the need, they will exist. When personal greed among those who run the group or when the guiding philosophy of the group is judged to be unnecessary or does not serve members or followers properly, it will cease to exist. Thus, while I would like to see an all encompassing and singular organization governing the sport, this will not happen, will never happen. As long as one can find a comfortable landing spot for themselves, one that allows them to compete in a manner they believe to be fair, even handed, and need fulfilling, it’s all good.